This is perhaps the one issue that basketball video games, and indeed, sports games in general, by and large still haven’t been able to address in 2019. Sure, there are plenty of other problems that still exist in basketball gaming, from the level of realism and depth of modes to online stability and competitive balance, but we have seen progress in those areas throughout various releases. There have been improvements, or at the very least, attempts to make the situation better. Unfortunately, starting over every year is just as painful as it was when I discussed the “new game blues” back in 2016. Returning to square one remains a daunting and disheartening prospect. 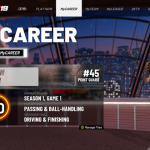 To elaborate on what I mean by square one, I’m referring to starting over in the new career mode with an avatar that has low ratings, no special attributes, base animations, and no cosmetic items. All of that grinding (or indeed, real money) you put into the previous year’s game is gone; at least as far as the new game is concerned. Similarly, all of those cards that you collected in last year’s iteration of the team building mode? They’re gone, too. You also have to leave any franchise saves behind, though that’s usually not as big a deal since they don’t involve grinding or microtransactions, and most franchise gamers are happy to create new memories from a new starting point. It would be nice to be able to import old franchise saves into a new game and keep playing them, of course, but progress in the career and team building modes are the bigger issue, given the grind and potential expense. Unfortunately, it’s those very elements that ensure the pain of starting over at square one remains an annual issue in basketball gaming. Game modes need longevity and must hold our interest, ideally until the next title comes out, so the grind is understandable to an extent. As for the expense, sports games have proven to be effective generators of recurrent revenue through microtransactions. EA Sports and Take Two aren’t going to give that up. Still, both companies need to find a way to address the pain of an annual reboot on our progress, as long as the NBA games continue to be released every year. I don’t think releasing games every few years with new season expansion packs in between is feasible just yet, and I’m not sure I’d like that approach even if it were. Instead, EA and 2K need to find a way to ease the transition to a new release, and perhaps even reward brand loyalty, in a way that doesn’t interfere with the longevity of the games or prevent them from profiting off of microtransactions. A fair compromise may be easier said than done, but for the sake of an enjoyable game, it’s worth striving for. I’ve mentioned the idea of a “returning gamer bonus” in previous articles and on the NLSC Podcast, and it feels like the most obvious solution. In short, the presence of a save from the previous game would grant some kind of one-time bonus in the current one. 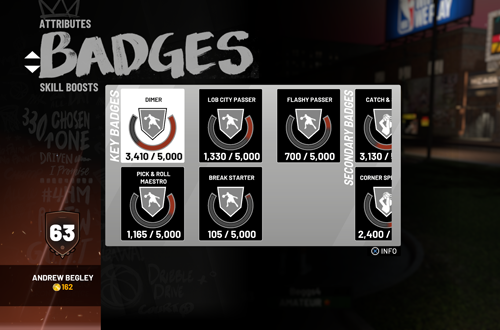 It would be a bit much to be able to directly import a 95 Overall player with all their maxed out Badges or Traits, or carry over your entire collection from Ultimate Team or MyTEAM, but that kind of progress could translate to an initial boost. 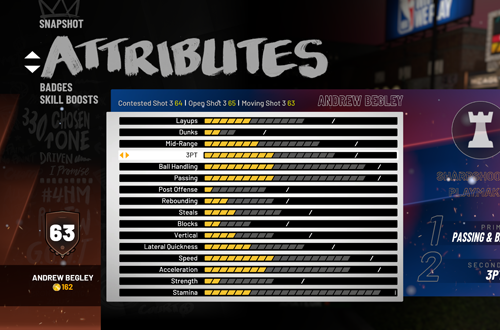 It could take the form of a head start to around 80 Overall with a few Badges/Traits already unlocked, and perhaps a handful of Premium packs to get your team started. The reason such a concept is important to consider is that annual sports games have a far more limited shelf life compared to other genres. Consider games like the Fallout series. I can, and have, spent years on those titles, returning for multiple playthroughs. With years between new releases, there’s more than ample time to do everything you want to do, as well as put the game aside to play something else for a while. With the annual NBA games, you’ve got twelve months to get the most out of the experience while it’s fresh. Sure, you can go back to a game, but eventually online support ends, locking or at least severely limiting any mode that includes online components. Allowing progress to carry over between games would also make a great impression, not just in terms of fostering goodwill with gamers who buy the titles on an annual basis, but also the experience on the sticks. Put aside the grind and even spending real money on VC for a moment, because we’ve demonstrated that we are willing to do that. One of the most frustrating aspects of returning to square one in the career modes is that we can no longer do the things with our player that we’ve spent months doing in the previous game. An avatar back at square one with its low starting ratings and basic animations just isn’t as fun to play with, and it affects our initial impressions. It’s a similar situation with the team building modes. We’re back to playing with the cards we’re dealt upon starting over from scratch, instead of all of our favourites that we’ve been using. It’s a harsh blow, especially if you were still playing the previous game right up until the release of its successor. Again, this can easily lead to some overly negative first impressions, since we go from enjoying the fruits of our grinding (or monetary investment) to an experience that doesn’t feel as fun because we’re back at square one. This is fine in a game like Fallout where we can choose to start over, but in a new basketball game, square one is a situation that’s thrust upon us by default. Combine the frustration of starting over with the lack of goodwill as basketball games increasingly become vehicles to generate recurrent revenue, and you’ve got a situation where the quality of the experience is in jeopardy. 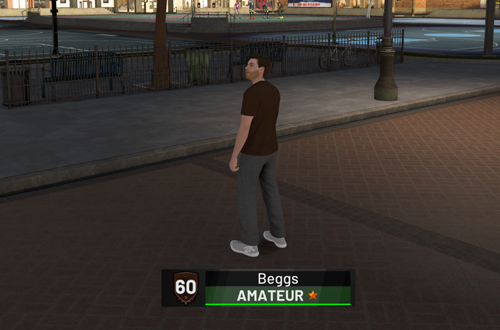 I’ve really enjoyed my time playing MyCAREER in NBA 2K19, to the point where I’m now halfway through my second season playing twelve minute quarters without simulating. I’ve also enjoyed dabbling with MyTEAM again, thanks to Locker Codes providing me with some good cards. 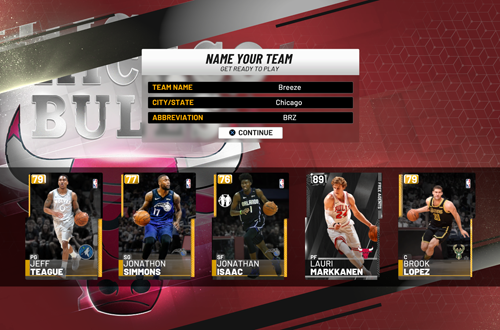 However, I’m dreading having to start all over again in NBA 2K20, grinding up a MyPLAYER for online play and hoping for the same luck with the Locker Codes. That’s the prospect we’re all facing, though, and the clock is ticking. It won’t be long before the preview season is underway, and we’re all doing our best to wrap up our business with NBA Live 19 and NBA 2K19 so that we can concentrate on NBA Live 20 and NBA 2K20. Not everyone will buy the new games straight away (or at all), but for a majority of the fanbase, we’re going to be back to square one come September. Importing franchise games, one-time boosts from our previous career save (or maybe even importing leftover VC), and the ability to keep a few cards or be handed some top shelf packs, would all help alleviate the frustration of starting over once again. In the long run, it could benefit EA and 2K as well. That kind of goodwill inspires loyalty, and it would encourage gamers to dive into those modes, knowing that they have a head start. From there, I’m sure they would still make plenty of money through microtransactions, as those gamers who are hooked will still end up paying for further boosts or new packs. Those modes will also be more fun out of the box, leaving better first impressions resulting in greater engagement. For our part, we’d be getting a great experience, and a sense that last year’s grind hasn’t gone to waste. An annual release will always mean a new grind, but it needn’t, and shouldn’t, be a return to square one. KONAMI usually gifts some “balls” to pull away ~decent footballers in its PES MyClub. Practically, it means one 80+ player for having 2+ of 85+ in the predecessor, plus additional one for having 2+ players of 90+. Not much. There is about 10000 virtual currency for playing in the Demo (~1 player 70–85 overall). They are minor incentives and almost nothing carries over. Can’t get us to spend if they give too much away, I suppose! Still, it’s off-putting to have to grind up from square one every year.